Blogger was down all day. I was in London getting some work done, so it didn't frustrate me too much: I was too busy being frustrated by the people in the office being unable to find my scripts to mark. I was able to spend some time walking: down to Trafalgar Square, then up Charing Cross Rd. My favourite walk in London. I cut across back to Euston, through UCL and past Birkbeck College. The Waterstone's there had Foucault's Order of Things on display at the door. That ain't going to happen at the mall. A colleague and fellow disciple of my supervisor turned me on to the Koss Porta Pro headphones. I was looking for headphones, as my earbuds, though nice, have been frustrating at work. I wanted to have an over-the-ear options. These bad boys, unchanged in almost 30 years are AMAZING. Great sound, not just for £18 headphones, but for headphone period. Plus, they have hipster cred, which I need more of. I did feel a bit bad about getting them as I don't NEED them, but this can be my Father's Day/ birthday present. 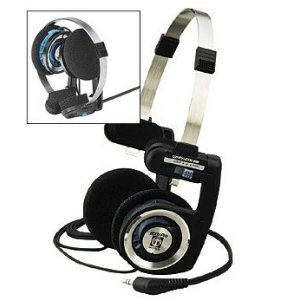 It's rare that I want something (UPDATED: like headphones enough to go out and actually buy, or ask for for a present. I'm crippled by possibility). I want these. But seriously, after this, no more expensive headphones. Screw Bose. Seriously. Although, the sound does leak a lot so I am thinking just a bit about hacking them: taking the speakers and putting them in over the ear monitor headphones. We'll see. I put Michael Jackson them: they are made EXACTLY for that music. Funny that technology is made for the music of the time. Not surprising, of course, but interesting.